Jeff Bjorck plays with a depth of soul not often found in solo piano compositions. There is something deeply moving and spiritual about his music. It is at times like he is having the most intimate musical conversation with the Creator. He will often just sit and play spontaneously from the heart. In fact, he has been creating his own music since he was ten years old. In his debut album: “Pure Piano Portraits” Jeff Bjorck was inspired by his love for the Appalachian woods and Catskill Mountains of his youth. Now he is inspired by the Mojave Desert and thunderclouds moving over the scorched earth. Jeff has many interests, including hang gliding high above the mountains of Southern California. Here he finds creative inspiration for his music. He also loves photography, illustration, painting and poetry. As a clinical psychologist, researcher and professor at a theological seminary, he brings a depth of wisdom, emotion and understanding to this album. He and his wife have written some beautiful words for “Sculptor of the Sky” which are included in the CD booklet and can be read along with the music. in wood, clay and stone. when the artist’s work is done. as restless as the ocean. This CD has also apparently been used to help women through natural childbirth, provide an atmosphere of sophistication at intimate wedding receptions and dinner parties, helped children fall asleep at nap time, calmed students in a classroom, assisted patients during chemo and has created a peaceful setting for clients of massage therapists as they work. It is also played on radio stations across America. Many of the pieces have personal meaning. “O, The Deep, Deep Love of Jesus” is an emotional piece which moves from acceptance to forgiveness and love. It expresses what the human heart feels when you are unconditionally loved and accepted. “Joshua Tree” has an open feel. You are standing out in the open at sunset. A cool breeze moves in and you feel free, happy and relaxed. This piece expresses a calm surrender of the day to the night. “Soaring Mesa Cliffs” takes you high into the sky, perhaps into the highest emotions that are reflected in exquisite notes of perfection. You can almost feel the warmth of the sun, the wind blowing through your hair. Peaceful and reflective. “Desert Cloudburst” holds back at first. The clouds swirl in the sky and then the rain falls slowly at first, droplet by droplet. Then torrents of wet raindrops splatter against the parched earth perhaps even causing a flood of water to wash over the desert. This seems to be about being nourished, about allowing your heart to open and be refreshed by God’s love. “Remembering Gramma” is a delicate piece of pure beauty. This was written for his grandmother who almost lived to see her hundredth birthday. It is my favorite piece on the album. This piece seems to represent a centering force, a stability and a sadness for the loss of someone you loved deeply. “Porch Swing Summer Night” has a slow feeling of swaying back and forth that is quite magical. You can imagine a warm breeze and conversations about the stars appearing. I can almost hear the stars appearing in the night sky. Unique! This almost sounds like a lullaby at times. “Your Love Has Made Me Fly” is a tribute to his wife Sharon and seems to take off from the start. It is more intense and filled with a subtle excitement for life. It almost sounds bittersweet in moments and deeply comforting at others. How beautiful. “The Homestead” seems filled with activity, comfort and connection. that inspires us in nature. 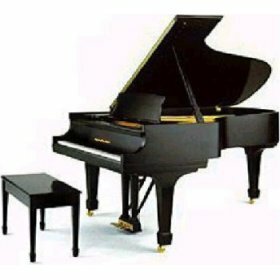 Pure Piano Panoramas is beautiful in its simplicity, stunning in its ability to calm the soul and will refresh your spirit. This is timeless music for a temporary world. There is a little hint of the eternal in Jeff’s exquisite compilations. If you love David Lanz, Jeff Brickman, Danny Wright, Wayne Gratz., Robin Spielberg or George Winston, you will love Jeff Bjorck. Caressed by pure pine air. Dr. Jeff Bjorck is a multi-talented artist. He writes music and poetry. He is also a clinical psychologist, researcher and professor at Fuller Theological Seminary’s Graduate School of Psychology. He has a unique connection with nature and the creator. His music is almost a prayer because he plays spontaneously from the heart. This album is like sunlight glistening through a forest on which the rain has just fallen. It is spectacular in its clear crystal notes and the sounds flow like a refreshing breeze through your being. I feel calm, happy and content when I listen to Pure Piano Portraits. It is like Jeff has somehow captured the feeling of joy in his music. 1. Be Thou My Vision - A worshipful piece which embodies thankfulness and praise. 2. Butterfly Sunrise - The notes fade in and out, there is no rush. Like a butterfly enjoying the early morning fluttering from one flower to the next, the notes seem to land and take off and you can almost see a butterfly taking off and landing and then flying off into the distance. There is a sense of peace and joy in this selection. 3. Mountain Echoes - The notes linger like echoes. There are moments of solitude and then a burst of energy. As if each note travels on its own path and then at times they all return at once. 4. Walk Down Steward Lane - An energetic almost tumbling experience. The music swirls around like a happy child playing out in a field of wild flowers. I see yellow flowers and the scent of freesia appears to me. 5. Can’t Say How I Feel - Contemplative and emotional. There is a definite questioning tone that reflects a certain indecision. The notes ask questions only you can answer. 6. Catskill Mountain Meadow - This debut album was inspired by his love for the Appalachian woods and Catskill Mountains of his youth. 7. Living Waters - Clear crisp notes mingle with certainty. Spiritually spectacular. 8. Twilight - What amazes me about the titles of these songs is how they really do reflect the amazing visual journey each piece presents. The notes soften, you can imagine a glow from the sky just as the sun is below the horizon. 9. River Sunset - If you can imagine the reflection of the setting sun spreading out over a river and looking like a wavy picture in a dream, that is what “river sunset” sounds like. 10. Waiting for Farewell - A certain sadness and sense of loss is definitely apparent here at the start. Then resolution almost seems to set in as hope is realized. 11. Starlight Ragtime Waltz - Deeply relaxing. 12. Jerusalem - Hopeful. An arrangement of one of his favorite hymns. If you love David Lanz, Jeff Brickman, Danny Wright, Wayne Gratz., Robin Spielberg or George Winston, you will love Jeff Bjorck. 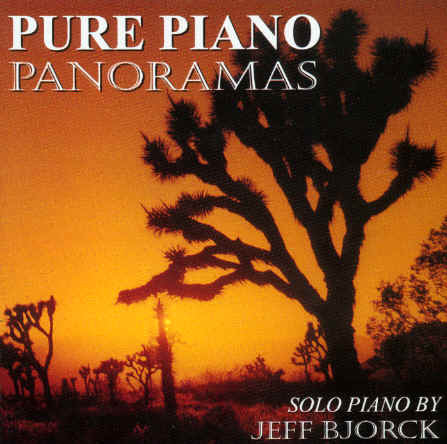 You may also want to consider: Pure Piano Panoramas. of reflection. You can really just enjoy the music for what it is, in its pure form without any distractions. Exquisitely Beautiful and Elegant Melodies to Calm and Quiet the Heart. Dr. Jeff Bjorck is a multi-talented artist. He writes music and poetry. He is also a clinical psychologist, researcher and professor at Fuller Theological Seminary's Graduate School of Psychology. He has a unique connection with nature and the creator. His music is almost a prayer because he plays spontaneously from the heart. This album is filled with exquisitely beautiful and elegant melodies to calm and quiet the heart. In his debut album: "Pure Piano Portraits," Jeff Bjorck was inspired by his love for the Appalachian woods and Catskill Mountains of his youth. Then he was inspired by the Mojave Desert and thunderclouds moving over the scorched earth when he recorded "Pure Piano Panoramas." In "Impressions in Black and White" he has reached a beautiful new depth in his playing. His music flows from a refreshing inner well of creativity and from his imagination. 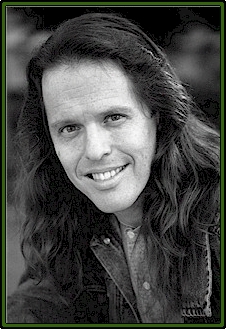 There is a very personal element to his playing and while his first two albums were mostly inspired by nature, this one seems to be mostly inspired by his childhood, remembering the feelings he had for a girl when he was a teenager, the experience of a country fair and his love for Mexican art, architecture and cuisine. I love listening to Jeff Bjorck's music because he truly puts his heart into his playing and each time I listen to this CD I feel relaxed and soothed into a calm emotional state. You can play this CD when relaxing, reading or when you need a soothing escape into your own dreams. I find this music wonderful to fall asleep to or to listen to in moments of reflection. You can really just enjoy the music for what it is, in its pure form without any distractions. If you love David Lanz, Jeff Brickman, Danny Wright, Wayne Gratz, Robin Spielberg or George Winston, you will love Jeff Bjorck. 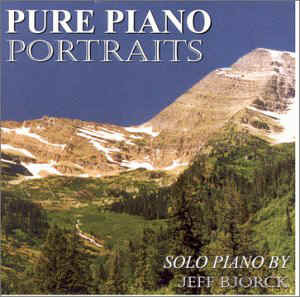 You may also want to consider: Pure Piano Panoramas and Pure Piano Portraits. My favorite piece is Sun Shower because you can almost hear the raindrops falling from the sky and imagine them steaming off the pavement.